The popularity of CBD is growing fast, as is the legality. CBD comes in many different forms, and whether you’re buying oils, topicals, edibles or other products, the plant they’re extracted from can make a difference. It helps to know CBD laws state by state to know what exactly you can buy and where you can get it from. While cannabis legalization is growing across the US, it’s still illegal in many states. This means cannabis oils are still illegal in certain parts of the country. Some states allow for the use of cannabis products with a medical prescription. Of course, it’s easy to get your hands on CBD products in legal marijuana states. But while cannabis-derived CBD isn’t legal everywhere, the laws on hemp are much more relaxed. Thanks to the Farm Bill 2018, it’s now legal to buy and use hemp-derived CBD products across the states. You can buy CBD online in many forms legally and safely. Nonetheless, it helps to know the CBD laws across the Us. Here’s a state-by-state guide. Cannabis use is still illegal in Alabama. However, a state program allows patients with debilitating conditions to get their hands on CBD Oil with less than 0.3% THC. This is called Leni’s Law. Residents can also find and use hemp-based CBD products. Alaska is one of ten states which allows marijuana use for all purposes. Providing you’re 21 years of age or over you’ll have no problem finding CBD products in dispensaries and cannabis stores. Hemp products are also widely available to all adults. Arizona forbids recreational use of cannabis but allows medical use for prescribed patients. Those with a doctor’s recommendation are able to buy CBD Oil with less than 0.3%. Adults in Arizona are also able to buy and use hemp CBD products. Arkansas allows patients with certain conditions to buy cannabis products including CBD, according to the Arkansas Medical Marijuana Amendment. If you don’t have a medical recommendation, you can still buy and use hemp CBD products. California has relaxed laws when it comes to cannabis and CBD. Cannabis is legal for both recreational and medical use, and many stores are available where adults can find CBD products. Of course, there’s also no legal barrier to using hemp CBD products, making it extremely easy to use CBD here either way. Colorado is another state where cannabis in all forms is legal. Whether you prefer cannabis or hemp-based CBD products, there are plenty of stores and dispensaries available across the state. For the most part, cannabis is illegal in Connecticut. However, people of all ages are able to apply for a medical certificate which allows the use of cannabis products. Minors are required to use cannabis in non-smokable form, meaning they can use CBD Oils and other CBD products. Those without medical certification can still use hemp-based CBD products. Patients with certain conditions are able to get a medical marijuana card in Delaware. This allows for the purchase and use of cannabis oils and other such CBD products. You can also use hemp products with or without medical certification, and the state has an industrial hemp program. Florida has a fairly strict medical marijuana program which disallows smoking cannabis but makes CBD Oils, tinctures, and edibles available. Those without medical clearance can still buy and use hemp-based CBD products. While cannabis is still fully illegal in Georgia, certain patients can get their hands on CBD. CBD Oils must have under 0.3% of THC and a greater amount of CBD. You can also use hemp CBD products, but they’re hard to find in the state and it’s best to buy online. Hawaii has some progressive laws regarding CBD. Cannabis for medical use is legal for certain patients, and the state is moving towards recreational legalization. However, long-running laws in Hawaii allow for the legal use of hemp CBD products with low THC. You can often buy these products over the counter or online. Idaho still strictly forbids the use of cannabis. It isn’t legal for recreational or medical use. You can use hemp-based CBD products. You won’t be able to find them within the state but you can buy online. Recreational cannabis use is illegal in Illinois, although the state does have a medical marijuana program. Additionally, Illinois passed the Commercial Low THC Hemp Extract Act in 2018. This makes all low-THC CBD Oil (less than 0.3% THC) legal whether it comes from hemp or cannabis. Although cannabis is illegal for both recreational and medical use, there are some interesting laws for CBD in Indiana. The Senate Enrolled Act 52 allows for the purchase and use of CBD Oil with less than 0.3% THC. Hemp products are also legal. You can buy and use CBD in all forms across Indiana. Iowa’s medical cannabis program allows patients to use CBD Oil only, providing they have a Medical Cannabidiol Registration Card. The state has tried to prohibit the sale of hemp CBD products by classifying them as cannabis products. However, there are still stores that sell them and you can also buy CBD online. The Kansas Senate Bill 282 allows for the purchase and use of CBD products. The only catch is that these products must have 0% of THC. Fortunately, there are many THC-free pure CBD products available, making it easy for KS residents to use CBD. Kentucky has a medical cannabis program which allows patients with prescriptions to use cannabis products, including CBD. Industrial hemp products are also widely available and exempt from being classified as marijuana, making it easy for anyone to buy and use them. The medical cannabis program in Louisiana allows patients to use non-smokable cannabis products. This makes CBD Oils, tinctures, topicals, edibles, and other products safe for prescribed patients. You can also use hemp CBD products with or without medical clearance, although they should be THC free. Maine is one of ten states where cannabis is legal for both recreational and medical use. Hemp products are, of course, also legal. This means you can buy and use CBD in all forms and it’s widely available across the state. Maryland has a medical cannabis program which allows various medical professionals to prescribe cannabis-based CBD products to patients. You can also buy and use hemp CBD products with or without a prescription. Massachusetts is a legal state for marijuana. Adults 21 years of age or over can buy cannabis in all forms. Patients aged 18 or over can also get a prescription to use CBD and other cannabis products. Those who don’t fit either category can still use hemp CBD products. Michigan is the latest state to legalize cannabis. It also has a medical marijuana program which allows patients to get their hands on cannabis and CBD. Hemp products are also fully legal. In short, CBD in all forms is legal and easy to buy across Michigan. Minnesota allows patients with certain conditions to use cannabis products for medical use. This includes CBD. 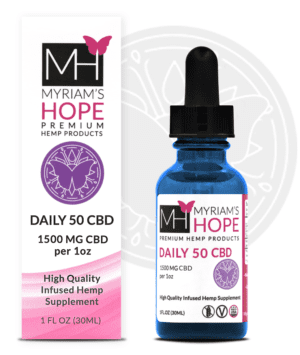 Those without a medical prescription can still buy and use hemp-based CBD products. Mississippi doesn’t allow cannabis for medical or recreational use. However, CBD Oil is available in some circumstances. Patients with epilepsy can get low-THC CBD Oil from state universities. Hemp CBD products are legal to use, although you won’t be able to find them in state and will have to buy online. Missouri has a recently established medical cannabis program. Patients with certain debilitating illnesses can obtain cannabis and CBD products from dispensaries. You can also buy and use hemp CBD products here, although they must have less than 0.3% THC and at least 5% CBD. Montana has a medical cannabis program which allows patients with a medical cannabis card to obtain CBD products. Hemp CBD products are also legal with or without a prescription and the state has an industrial hemp program. Nebraska has no medical cannabis program and the use of cannabis is still strictly prohibited. However, it does have an industrial hemp program and allows for the use of hemp-based CBD products. Nebraska also has a bill which legally allows the use of certain FDA-approved CBD products, such as Epidolex. Nevada is one of the states which allows the use of cannabis in all forms. You can find both cannabis and hemp-based CBD products here. Products are widely available to buy across the state and users should have no problem getting their hands on it. New Hampshire has decriminalized marijuana and has a medical cannabis program which allows patients to obtain medical cannabis and CBD. You can also buy and use hemp-based CBD products here and the state has an industrial hemp program. New Jersey’s medical marijuana program allows prescribed patients to obtain cannabis and CBD products. You’ll also have no problem buying and using hemp-based CBD products here. The state is also moving towards the legalization of cannabis. New Mexico has both a medical cannabis program and an industrial hemp program. Patients with certain conditions will be able to get CBD products from dispensaries. Those who don’t can still buy and use hemp-derived CBD products with low THC. New York appears to be moving towards the legalization of cannabis for all adults. For now, there’s a medical cannabis program in place which allows patients with medical cards to obtain CBD from dispensaries. There’s also an industrial hemp pilot program in place and residents can buy and use hemp CBD products. North Carolina allows the use of medical cannabis in very limited circumstances. Patients with epilepsy can use CBD Oil which has less than 0.9% THC. However, residents can buy and use hemp-derived CBD products. North Dakota recently established a medical cannabis program in 2018. This allows patients with medical cards to use cannabis and CBD. Although users can use hemp-based CBD products under the Farm Bill 2018, the state is trying to clamp down on the sale of CBD. Users may find it easier to buy online. Ohio has also recently implemented a medical cannabis program. This allows certain qualifying patients to use marijuana in smokeless forms, such as CBD oils and tinctures. Those without a prescription can still use hemp CBD products, although they’ll most likely need to buy online. Oklahoma has a medical marijuana program which allows patients to obtain CBD Oil with less than 12% THC. The state also allows for the sale and purchase of industrial hemp products. Oklahoma even has some stores specifically for the same of hemp CBD products. Oregon allows adults aged 21 years and over to buy and use all forms of cannabis for any purposes. 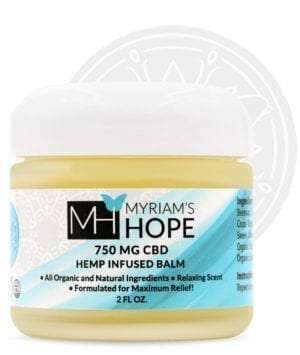 Younger users can also obtain hemp-derived CBD products. CBD is widely available for purchase across Oregon. Pennsylvania’s medical cannabis program allows patients to use CBD products such as oils, topicals, and edibles. Residents should also have no problem buying and using CBD products derived from hemp. Rhode Island allows certified patients to get cannabis and CBD products from dispensaries. Hemp CBD products are also legal for anyone to use. While South Carolina still bans the use of marijuana, you should have no problem using CBD. The state allows for the use of CBD products with less than 0.3% THC. South Dakota still has no medical marijuana program and the use of marijuana is illegal. However, residents can buy and use hemp-based CBD products. A 2017 law also allows for the use of FDA-approved CBD products such as Epidolex. Tennessee has an industrial hemp pilot program and allows for the purchase and use of hemp-based CBD products. There are even stores for CBD, although the government is trying to reduce unlicensed retailers. There’s also a medical marijuana program in place which allows patients to obtain CBD Oil with less than 0.9% THC. Unlike most other states, Texas is still strict when it comes to CBD. The state generally doesn’t allow the use of cannabis products, although the Texas Compassionate Use Act enables epilepsy patients to use low-THC CBD Oils if other treatments are ineffective. Texas has also tried to crack down on CBD sales in the past, although now it’s much easier to buy and use hemp products. The Hemp and Cannabidiol Act in Utah legalizes the sale and purchase of CBD products. Residents are able to buy and use CBD products providing they have less than 0.3% THC. They also have a recently established medical marijuana program which allows patients to obtain cannabis and CBD. Vermont legalized marijuana for recreational use in 2018. It’s also available for medical use through dispensaries. Hemp products are also legal, so residents have plenty of ways to buy CBD. Virginia allows medical marijuana patients to use CBD Oils with 5% of THC or less and at least 15% CBD or THCA-A. Those without a prescription are able to buy and use hemp-based CBD products. 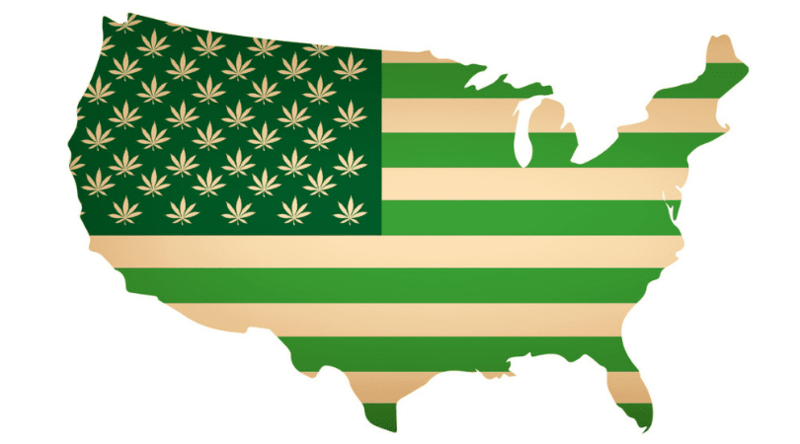 Washington is one of the states which allows for the recreational and medical use of cannabis. CBD products are widely available across the state. West Virginia residents can buy and use CBD products extracted from hemp. Patients under the medical cannabis program can also obtain various cannabis-derived CBD products. Wisconsin has allowed the production and sale of hemp-based CBD products, leading to many CBD businesses opening across the state. Wyoming is fairly strict on CBD. While hemp-based products are legal on a federal level, there have been cases of users being charged for possessing CBD. The state has a limited medical cannabis program which allows epilepsy patients to use oils with at least 5% CBD and up to 0.3% THC.